The much awaited Google Docs for Android is finally here. With the software installed in your Android device, you no longer need a computer to create or edit documents from your Google Docs account because you can do the task directly from your Android mobile device. 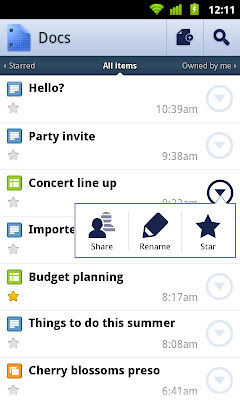 Google Docs for Android allows you to create, edit, upload and share documents online through your Android device. 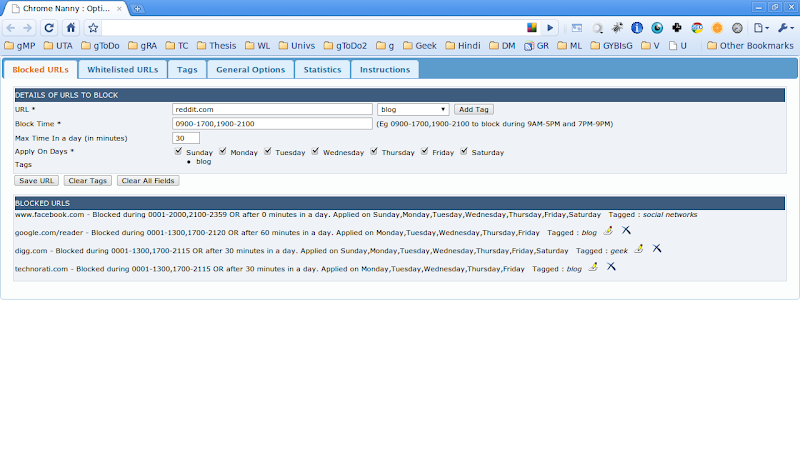 Its interface is a replica of its mobile web version. The user interface is pretty simple and well-designed. Most likely you already have antivirus installed in your computer. That is good but although it may detect viruses, malware and phishing scams on websites you visit, it may not be enough to detect them all. This is where URLVoid becomes helpful, it gives you multiple scan engines in one place. URLVoid is free web service that allows users to scan a website address using multiple scanning engines such as Google Diagnostic, PcTools Browser Defender, Norton SafeWeb, MyWOT to facilitate the detection of possible dangerous websites. Just copy & paste or you may type the website URL in the input box and click the button "Scan Now". After scanning, a comprehensive result will be displayed which includes information such as IP address, hostname, number of detections and overall status. If your sharing computer with your family or co-workers, chances are, you can't store private files on this computer because it would be accessible to other users as well. If having your very own computer is not an option then you can alternatively use privacy protection tools such as HiddenDIR. It is free and lightweight tool that allows you to protect your privacy by hiding your private folders. Once folder is hidden, it will be invisible to anyone who has access to your PC. Hidden folders can be shown only if you have access to this program. To hide a folder, simply click the Hide button and select the folder to hide. Most of people today are heavily dependent to their mobile phones as means of communication, web browsing, organizer and for other day-to-day tasks. Forgetting your phone would be like going to Mars where your family and friends can't reach you. We can't avoid to forget at all times but at least we can prepare our phone for such situation. 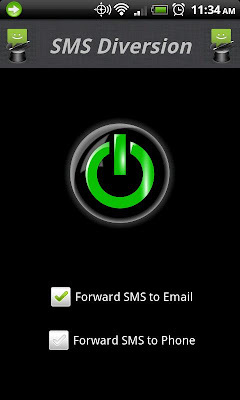 SMS Diversion is a free android application that allows you to set your phone to forward all incoming messages to your Gmail account. Once installed, you will automatically be asked for your Gmail account info. Notebook or laptop or other mobile computers makes our life easier while on the move. You may use the same computer for work or at home. Usually you have several printers configured on this machine so you can print any document as needed. For example, you may have a separate printer at the office and another printer at home and one printer won't be available if you changed location. Manually you can change the default printer but if your using Windows 7, this can be automatic. Here is a video from Microsoft that demonstrate How To Change The Default Printer Automatically When You Changed Location. Social networking sites like Facebook and Twitter can eats a lot of time. It can prevent you from focusing on your job and eventually could lead to failing in completing tasks on hand. If you can't control your browsing habits then you need help and Chrome Nanny is the answer. It is a chrome extension which can keep your browsing habits in check. The apps can help you keep focused by partially limiting or fully blocking distracting web sites. After installation, you can add distracting websites to the blocked URLs tab. You can set the limitation for each blocked URL, either block it during certain hours and days, or block it all the time. 1. 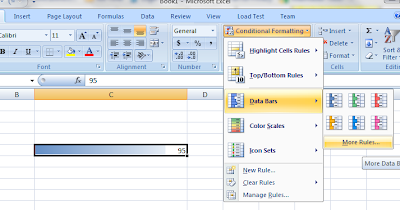 On the cell where you want to put the progress bar, enter a numeric value. For example, 95 which is equivalent to 95% out of 100%. 2. 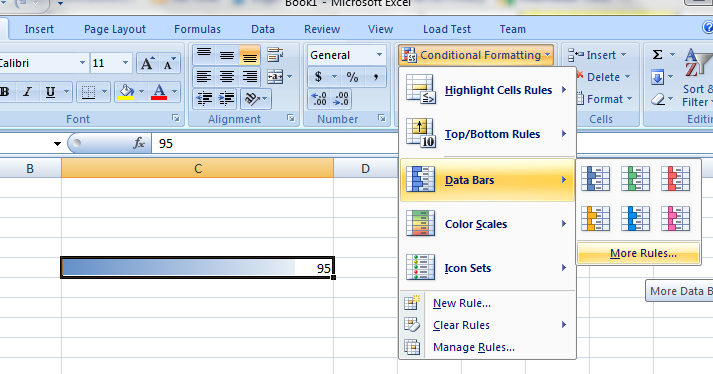 Click on the Conditional Formatting > Data Bars > More Rules as shown below.